We’re now just days away from Mobile World Congress, the annual tablet and smartphone event that takes place in Barcelona and tends to be the place that companies like Samsung and its competitors out new products. Nokia has always had a big presence at the event, but this year it’s looking like Samsung is the company that will get all the attention as it looks increasingly likely that its will choose this particular event as the stage to unveil its new flagship smartphone, the Galaxy S5. The belief that we will see the fifth generation Galaxy S smartphone at Mobile World Congress has been growing for some time now, and with Samsung today releasing a new trailer that teases something with a ‘5’ in the title, it’s fairly obvious what we will all be talking about in a week’s time. The Galaxy line of smartphones is arguably the only one to rival the iPhone in levels of interest, and this new trailer will only heighten that interest as the handset’s big unveiling draws near. The new video that all-but confirms a Galaxy S5 announcement sees us subjected to over half a minute of flashing images, each accompanied by a word such as life, wet, relax and focus. 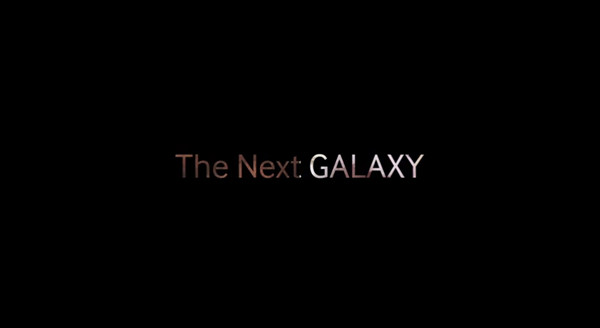 Each word has the number 5 slapped above it, pointing once again to the Galaxy S5 being the subject of the rather eye-watering teaser. The use of the word ‘wet’ in particular has some people wondering whether this handset will be waterproof, or at least more resistant to water than previous models. We wouldn’t be at all surprised if it wasn’t a reference to some bizarre Android skin though, and knowing Samsung that wouldn’t be a surprise at all. Mobile World Congress kicks off next week, with the Galaxy S5 probably the most eagerly awaited announcement of them all at Samsung’s Unpacked 5 keynote event. We expect more news of worth to come out of Barcelona too however, so we’ll be keeping our eyes peeled for just that. If you’re not a fan of Samsung’s phones though, we suspect you’re going to want to find something else to occupy you for the next seven days or so!